Brunch at Home with Friends! 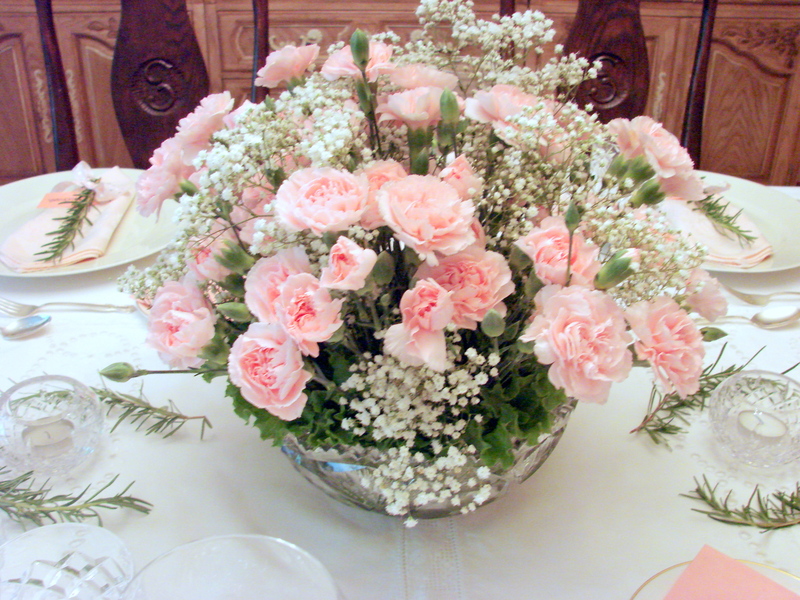 When I set a beautiful table for Brunch my heart and soul sing with delight. I waited for this glorious moment, and skipped breakfast earlier that morning. Anticipation for this special time when all my senses are ready to taste the delicacies is heightened simply by looking at the display of all the dishes I prepared for this wonderful occasion. It truly is one of my favorite feasts! 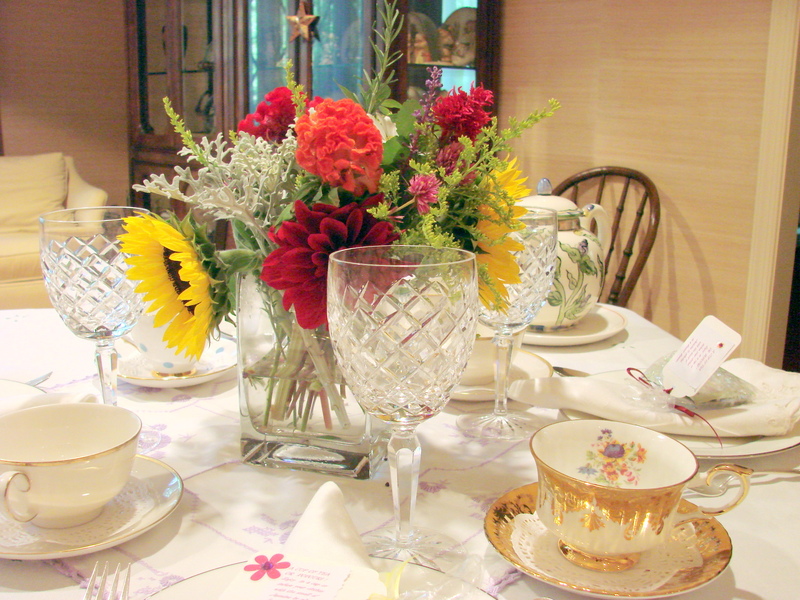 A Brunch at Home with Friends should be treated as a special time. It needs to be enjoyed leisurely to fully experience the abundance of the table. wine of all sorts and Northdown ale. Coffee was introduced to England and Europe in the 1650 by a Turkish ambassador at the court of Louis XIV, but was considered by the medical profession as ‘bad for health and soul.’ Similar criticisms were later given to Tea. Tea is thought to have been introduced into England from Asia by Lord Arlington in 1666, but it took further thirty years or so to become a firmly established breakfast beverage. By the 18th century, tea and coffee had become cheaper, and the dinner hour had moved beyond noon. This established the breakfast as we know it today. Meanwhile, in America, specifically in New Orleans, the ‘American Brunch’ was created, a meal combining breakfast and lunch. Opinions differ as to how and why it was established. One school of thought is that the French merchants, who were up very early in the morning and had no time nor felt like eating at that hour of the day, decided to meet in town and take a leisurely breakfast later in the morning when work was finished . A second theory is that after the first Christmas Mass, celebrated in 1718, the settlers held a highly social and late breakfast, and the event became a tradition. Since the 19th century, breakfast menus, and therefore brunch menus, have seen many changes. Fruit has become an almost indispensable part to the early or mid-morning table. Wonderful egg dishes have evolved with a creativity which stops only with one’s imagination. This 21st century has brought about a “fusion” kitchen where one mixes different cultures in dishes we hardly could imagine 30 to 50 years ago. Indeed “brunch” has become a true feast to all our senses and should be a celebratory meal from start to finish. 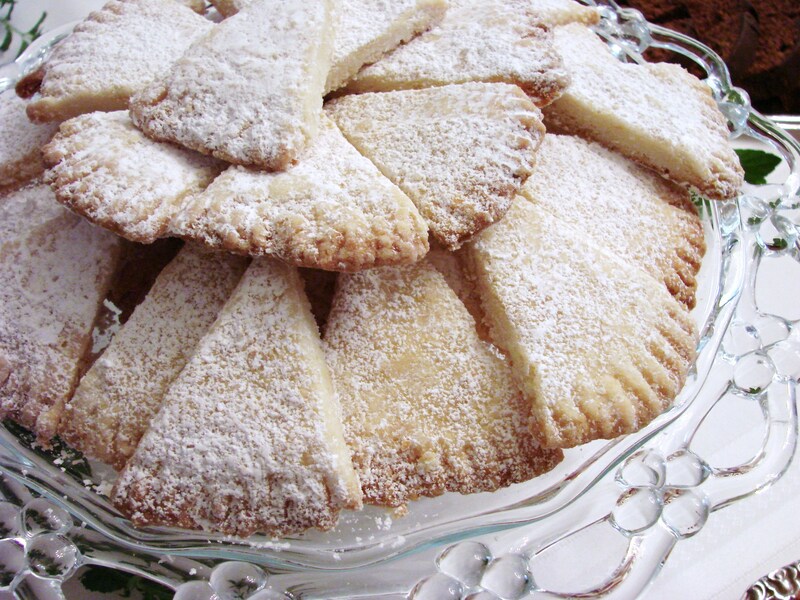 I use store bought – Pie Crust! I know you expected better from me, but I am a practical person. In all the years of entertaining I found that most people do not eat the crust in either quiches or pies. I have to admit I do not eat them as well. Therefore, I use whatever kind of unbaked pie crusts I find in the store. Spray the quiche pan with baking spray or grease the quiche pan before lining it with the pastry crust. Place all the ingredients into the unbaked pie crust. Mix eggs and cream with salt and pepper – and pour the mixture over the vegetables in the crust. Sprinkle nutmeg over the quiche. 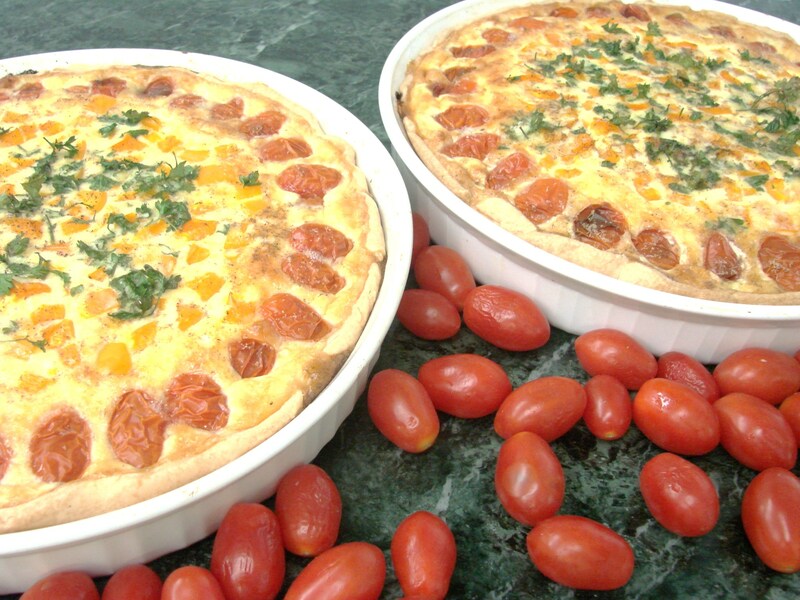 Bake the quiche in a preheated oven – 350 F – for about 1 hour – or until quiche puffs up and begins to brown. Bake the quiche on the lowest shelf in the oven to enhance browning of the pastry on the bottom. Let the quiche rest for a few minutes before serving. It will loose some of the puffiness. Suggestions for what to serve at a brunch! I hope I can convince Sara to have Sunday brunch here at our house after her wedding in September! Looks lovely (and I know delicious)! Hi Sue………hope Sara will want to have brunch at home after her wedding – because it is the nicest way to leave her parents’ home…. 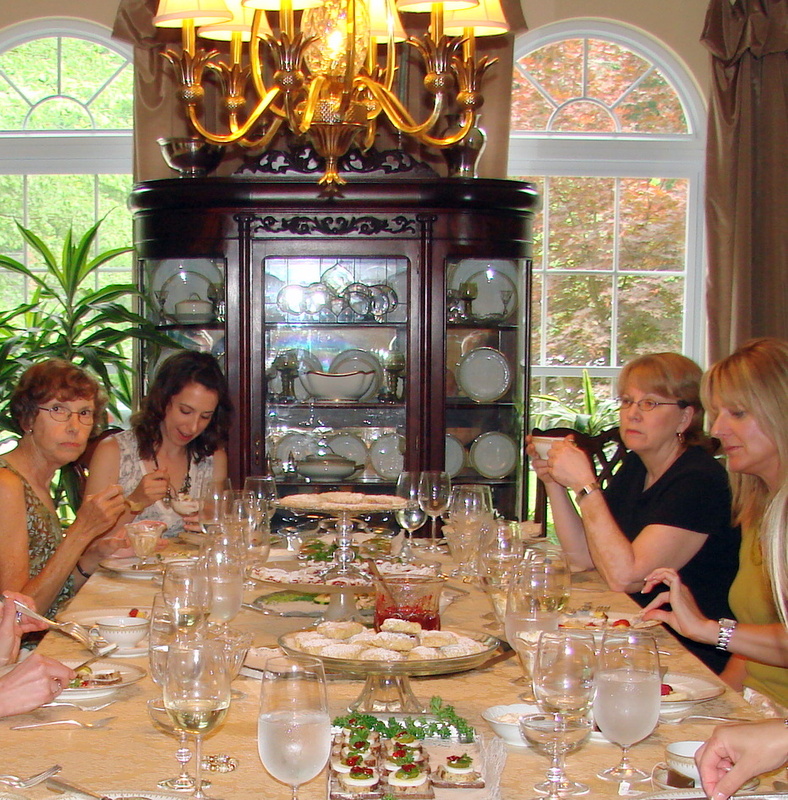 I have helped with a “brunch at home” a few years ago…and everyone had the best time…the bridesmaids ended up in the bride’s room like long ago, all sat on the bride’s bed and giggled and chatted as if they were still 13 years old…it was such fun to to hear them…. Lovely as always. I have one complaint. How can one pass up a delicious flaky crust. There is almost no crust worthy of leaving behind on my plate. If it is delicate and flaky and golden brown-I must consume it with the adornment of choice (sweet, savory)….it does not matter. The same can be said for Pizza, as well. You have done a very nice job of making me hungry this morning! Linda so nice of yo to leave a comment…..yes, when the crust is flaky, crunchy, delicate, lightly browned and still hot…ohhhhhhh it is a delight to eat it ….and I almost lick my plate…. but, there are crusts and there are crusts………and some people do not know the difference so they do not eat them at all…………I just read a book where the author, you might know her – Gesine Bullock-Prado – who has a pastry shop in Montpelier, Vermont…she makes pie crusts from “simple puff pastry dough” which is a short version of the traditional puff pastry recipe…and the recipe is in her book: “My Life from Scratch.” I plan on trying it very soon. I don’t eat the crust either Maria! I wonder why….I never eat the crust in my fruit pies, even tho I make them from scratch like my grandmother and they are quite good, I’d rather feast on the filling! Maja! Glorious pictures. I love brunch. 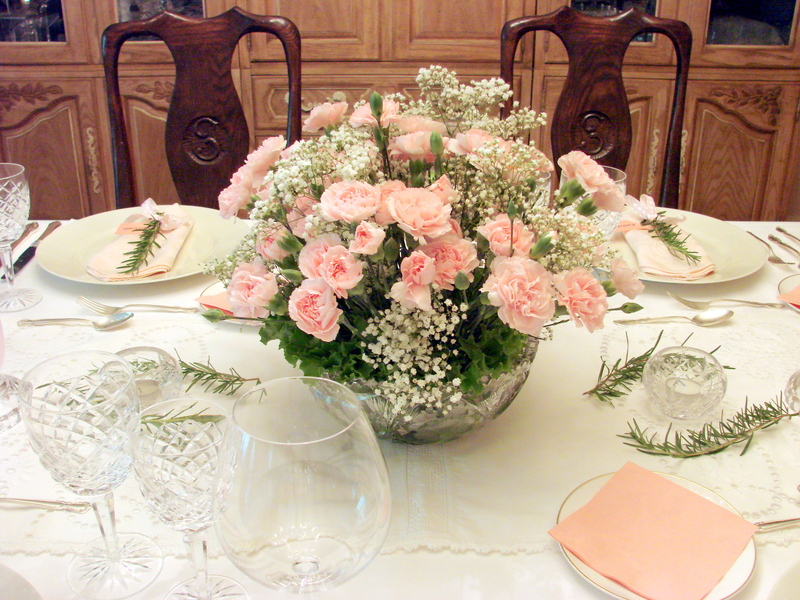 Whenever I am invited to brunch, I have expectations of a picturesque setting, a well-appointed table and lovely food. So much more than an ordinary breakfast or lunch… yours, it goes without saying, meets all of those standards. PS… I’ve started making my quiche crustless. Yep. I just put the filling in the dish and bake it as per directions. I use an ice-cream scoop to serve it over a small bed of lightly-dressed greens w/a croissant! Melanie….I LOVE the idea of scooping the quiche with an ice-cream scoop….how clever…and the croissant would be a perfect accompaniment. I will have to make that the next time I have friends over for a little te-ta-te! 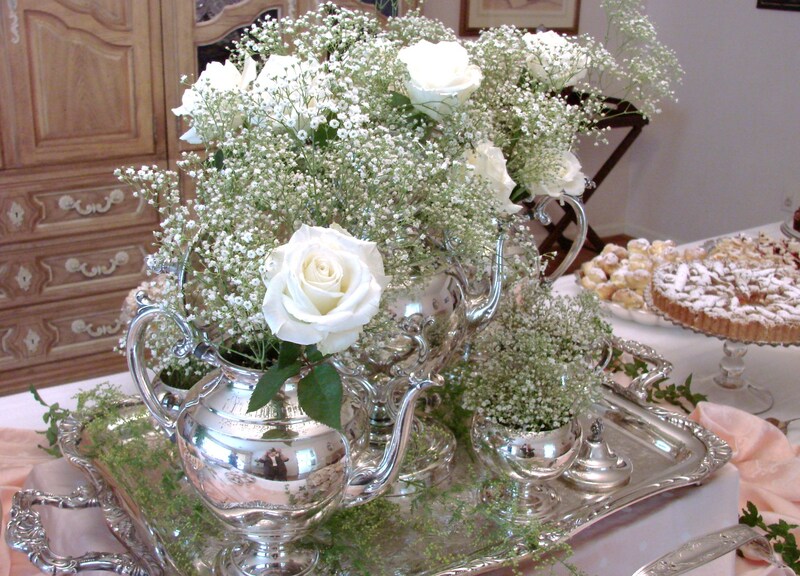 Thank you for your very nice comment about my way of having a “brunch for friends” in my home…. Wow! Again, fantastic food! So is it rude to invite yourself to brunch????? Hi C.C………..I would love to have you here for brunch…..and being a friend I would not consider it to be rude to invite yourself to be among my other friends…. Hi Maria, what a wonderful inspiration……..brunch! Certainly inspires me and I will definitely try your recipe for quiche……….love it! Thanks for your blog. This quiche looks wonderful, so enjoyed dessert at Ann’s the other day!